20 I actually took this photo so I would remember the questions from class to class, but it is just as well to use it here. Today the conceptual classes were working on how to go from one kind of representation to another. Notice that motion maps are missing. I decided not to use them this year and just focus on the graphs. I think it is helping my kids to have fewer things to focus on (in comparison to previous years). In addition, we played the mistake game I mentioned yesterday. I asked the kids to look carefully at each velocity vs. time graph on a whiteboard and raise a hand when the spotted a mistake. It worked great in my 1st period class, with two distinct types of mistakes being made and good discussion on how to avoid them. But 5th period did not go so well, with a couple of kids who had missed class time and students who wanted to make the mistake a missing title or axis label. However, by then I realized I could use my iPad seating chart to record who had their hand up when, and now I have a record of the formative assessment. I keep each class’s seating chart in a separate Notability document, and I copy it and paste it when it gets all marked up and I need another. I will try to remember to write a longer post on my reflections blog to describe more fully how I use it. 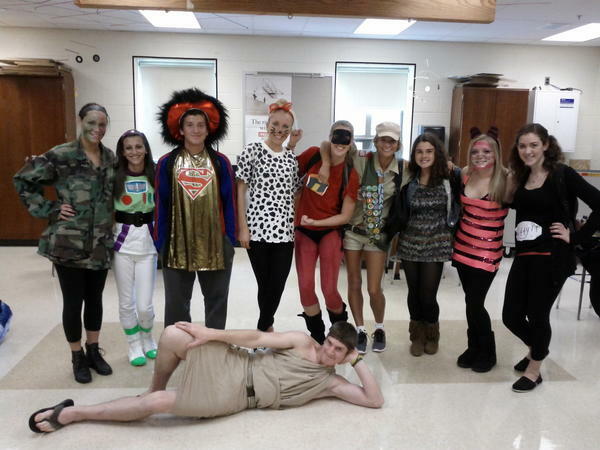 18 OK so this is a little lame. 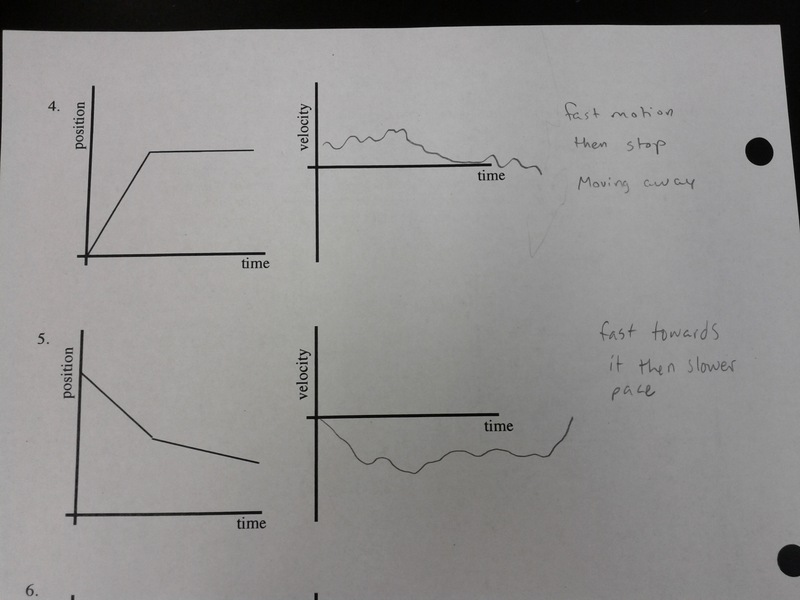 I had an awesome day today, using ultrasonic motion sensors with the conceptual classes to match position vs. time graphs and discover what the velocity vs. time graphs look like. 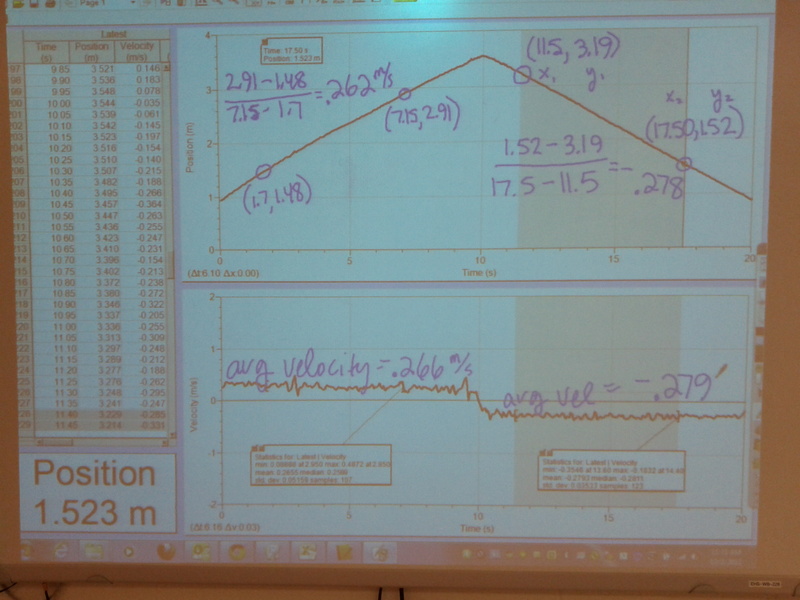 But I did not get any photos or videos of it happening, because I was hopping all around the classroom working with each group and making sure the graphs were set up correctly and fixing it when the velocity vs. time graph suddenly had a scale of -50 to 50 m/s when -2 to 2 m/s was much more appropriate. I had a good time, and I think students are starting to get it. 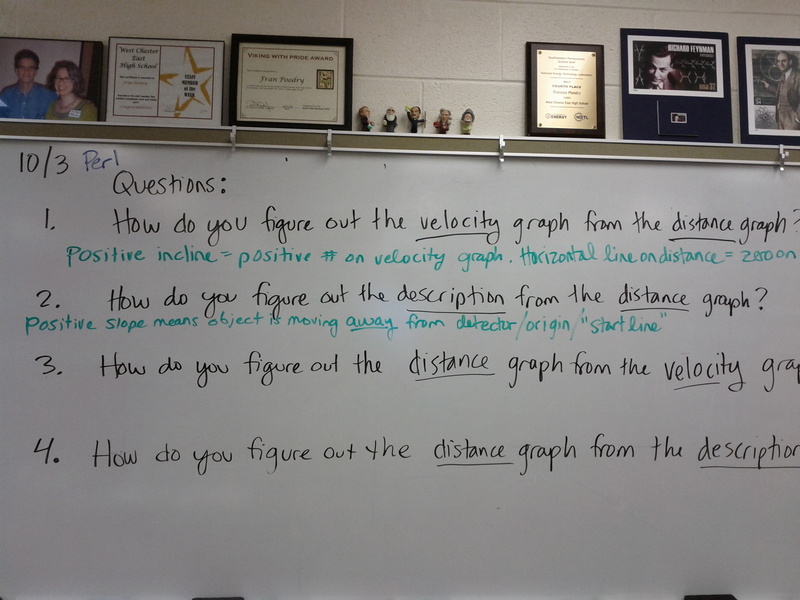 This is in addition to the Super Ultimate Graphing Challenge that I had the kids do over the weekend, which helped some kids a lot with the position vs. time graphs. Anyway, the photo above is one student’s notes from the motion sensor activity, which accidentally got left behind in class. Sigh. Maybe tomorrow there will be something more exciting. 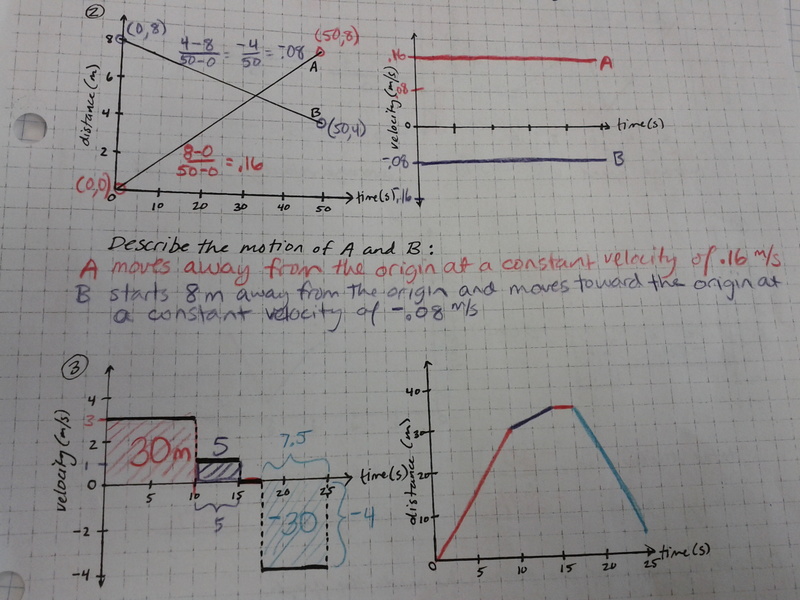 12 My conceptual students are working on the constant velocity model paradigm lab. Some of them use a toy car (with either one or two batteries powering it) and some of them use a bowling ball they let go off a small ramp.